Bonus Key Qualifying Criteria: £25 First Bet Insurance: New customers only. Valid only for accounts tracked from an eligible referring website. A qualifying bet is a losing first settled real money single bet of at least £/€10 + (at odds of evens (2.0) or greater (or a multiple where each selection is at odds of 2/5 (1.4) or more. Only losing win single part of an E/W bet will qualify. Free bet equal to your qualifying stake will be credited within 24 hours of qualifying bet settling and must be used within 14 days. free bet stake not included in returns. Full T&Cs Apply. Genting Bet may not a name familiar to punters as a traditional bookmaker, however it has a long history in betting entertainment. Founded in 1965 in Malaysia, Genting has built its considerable reputation from operating casinos and integrated casino resorts across the world, and has expanded to become a global business with fingers in many pies far beyond its traditional gaming origins. In the UK Genting now operates 40 land-based casinos, but has yet to dip its toe into retail betting shops so how does it fare as an exclusively online sportsbook when it faces still competition from established bookmaking megabrands such as William Hill, Paddy Power and Coral? Let’s play . . .
Genting Bet has many sections covering most sporting events that are happening around the globe 24/7. Genting Bet odds are competitive. Genting Bet provides a stats service. 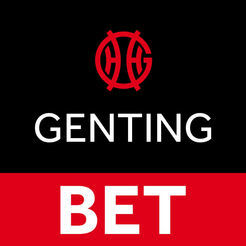 See Genting Bet site for details on Genting Bet In-play Betting. Whilst Genting maintains an obvious focus on its traditional casino entertainment when you reach its website’s home page, a quick click of its Sports tab transports you to where the rough and tumble of proper human endeavour can be enjoyed. Within that realm you’ll find a very nicely presented section, covering all the major categories of scheduled sports with a separate section to peruse the in-play action that might warrant a crafty wager. The design is clean, uncluttered and functional that makes it easy to review the offers and conveniently place bets that catch your eye. As with all the best online sportsbooks, compiling and editing your custom Bet Slip is accomplished very intuitively, clicking the advertised odds you want to add with the option to toggle them off if you change your mind, or cancel them on the virtual bet slip if you’re no longer on the original offer’s page. We were also happy to see clear highlighting of updated odds for in-play markets too, making it that much easier to monitor events to strike when a price is hot! Where Genting Sports is perhaps a little less competitive with some big name rival sportsbooks is on the supplementary content to accompany the betting on offer. Live streaming of events is not (currently) available, nor the possibly nerdy level of statistical data some sportsbooks offer. This may or may not matter to you – the pure thrill of placing your bets and seeing them pay off may be your priority, rather than poring over stats – but we mention it in case having those bells and whistles integrated into a site is an essential part of the sports betting experience for you. Genting Bet offers an iOS app and an Android app but it’s just as easy to play on your Smartphone’s browser. You can watch your favourite sports live on iPhone, iPad & Android. Genting Bet offers excellent 24/7 support, 7 days a week. Genting Bet uses Live help (Chat), Email, Phone and Post. Genting Bet is a nice add-on to Genting’s traditional casino entertainment, and delivered through a very smart and intuitive site that is just at home on mobile devices as it is on desktop browsers. As noted above, it doesn’t have all the real-time commentary and video coverage that some rivals offer, however it’s not short of markets to savour plus it has a certain stripped-back feel that could well suit you if you’re pretty knowledgeable of your target market’s form and pure and simple execution of your preferred bets is what you crave.